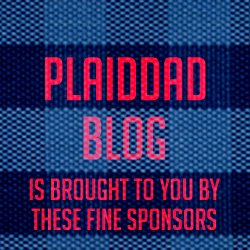 What’s up with the PLAID in PlaidDadBlog? Plaid evokes immediate imagery in the mind. It’s the look of the Lumberjack. The colors worn by a Craftsman. Maybe it invokes recollections of a Rock & Roll. That’s the well rounded Dad we’re trying to be, here at PlaidDadBlog. We swing axes, and play them too (guitar joke, nice!). We turn a wrench and play Barbies with our girls. We try to cook in the kitchen and in the bedroom. Like Joseph in his coat of many colors, we’re on a long journey. It began as a child, and through many misunderstandings and lessons learned, we hope to come out the other end smarter and wiser. A leader to not only our family, but those around us. And we hope you join us in this journey! Christian Lee (Hampton Roads [SE] VA) was born when his father was finishing Seminary in Atlanta, GA. Having a preacher for a father wasn’t always easy, and trying to follow in his footsteps proved quite tricky. 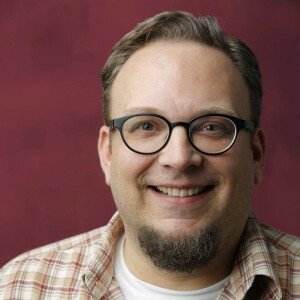 Leaving Bible college unsure of his path, Christian spent years in the ‘real world’ making sure everyone around him had access to what they needed… namely the internet. He broke down the doors of corporate America at age 19 with EDS, moving up quickly with firms like IBM, even the U.S. Army. Spending most of the time in the web design field, it was a gateway into how people thought, where they liked to spend their time, and what they thought was funny. A consummate stage performer since the age of 3, Christian spent many days singing on stage in school, church, and college. After being a stage manager for a non-profit playhouse, he realized it was in his blood… why fight it? Raised by a preacher, Bible college, corporate life, starting his own design firm, a marriage at 19 years old that has actually lasted; all this brings a unique perspective and a well of inspiration for finding humor in everyday life. Topics stretching from cartoons to salvation, there’s definitely something that will touch some part of your life… and your funny bone. Christian spent years performing across the country. His last trip was a stint in CA where he taped a show at the world famous Ice House Comedy Club. You may have seen him on Comedy Time or MAV TV. Christian was also invited to perform at The Great American Comedy Festival, Port City’s Top Comic, and The Plymouth Rock Comedy Festival. PlaidDadBlog.com is Christian’s effort to co-produce a site that focuses on Colorful Families & Colorful Stories. He is available for speaking engagements and you can contact him HERE. You must gain written permissions for things like publications, printed, training programs, publicity, etc. from the Contact Page. Basically it depends on whether any money is taken. We may charge depending on the request, but in most cases we’ll probably be ok with it. However we do not mind articles or videos being linked/used for online blogs or social networks, so you don’t need to ask for that. Just as long as you credit the content with a link =). We are also happy to allow people to reproduce the comics for personal use only.